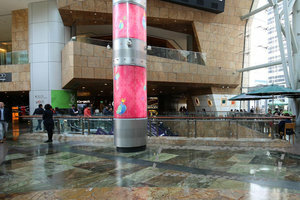 This open area, with the size of 64 square feet, is dedicated for mall booth. It is now available for brands to organise pop-up stores or product showcases. 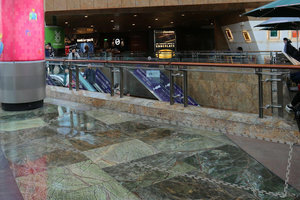 It is advantageously located on the fourth floor of the shopping mall, facing an enormous window where light bursts in and creates a well-lit ambience. Moreover, the open area is located near a food court, surrounded by countless restaurants and cafes, brands can definitely benefit from this prime location! 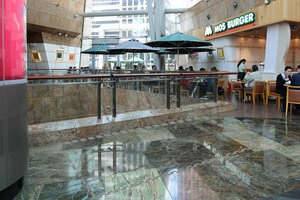 This delicate booth area has a high ceiling and a marble flooring, creating a simple yet elegant atmosphere. Moreover, it is equipped with basic electricity and air-conditioning, offering a high flexibility and freedom about the design and layout of the booth!